IdentityGuard is without a doubt the best and most reliable credit monitoring and identity protection service available on the market at the moment. They offer three different plan options that are all very affordable, even for those who have a tight budget. The Platinum plan is one of more popular options because clients receive updated credit scores every month. The Platinum plan is different than the others because it allows the client to receive the information quickly and they have the ability to monitor their credit reports. Identity Guard calculates the credit scores by taking all of the information from the credit bureaus, but it uses a scoring model called CreditXpert, while most other companies use FICO scores. Identity Guard provides identity theft protection and it alerts clients if there are changes in the credit bureau scores. Clients also get up to $1 million dollars in identity theft insurance. Every credit report pulled through Identity Guard includes all the information from Equifax, TransUnion, and Experian. It is always smart to run a credit check total, just to make sure that there are no unknown activities. That can be an unpleasant surprise when trying to get more credit. 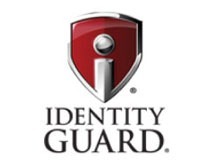 The fact that IdentityGuard gets report updates from all three bureaus every month benefits clients profusely. They can keep an eye on the credit rates at all times. The Platinum package monitors the three bureaus on a daily basis and they always alert the client if there are some changes like, credit cards, mortgages or loans in his name. Clients also get a mobile device app that provides access to features like current credit scores. Read more about our 2019 Identity Theft Review. The Platinum package also tracks information in public records that relate to the client. If strangers try to use your address, you will be alerted. Also, Identity Guard offers dispute and fraud support service that helps to protect credit cards, IDs and other stolen or lost information. Our 2019 Identity Guard review breaks down what's most important. Clients using IdentityGuard will receive up to $1 million in case an identity theft occurs.This package includes even more features that could come in handy. You receive an antivirus program and a keystroke-encryption software. This gives clients full coverage and reduces the chance of identity theft to a minimum. Each available plan has a different cost. If needed, IdentityGuard provides identity theft protection for children who are exposed to identity thieves for a small fee. Years can pass before you realize that your child had its identity stolen, but this can result in serious problems. If something happens, IdentityGuard can alert the client via email, text message, and even phone calls. The chances of Identity Guard not spotting something are slim. Identity Guard is a service that provides much more than just a simple credit report and credit monitoring services. They offer a number of identity-monitoring service types and useful antivirus and password protection software. The antivirus program doubles the strength of client's security programs. 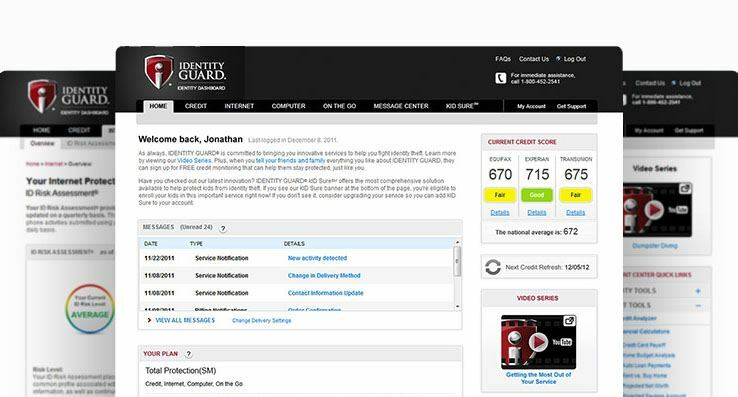 Identity Guard offers a great all-in-one service with a ton of benefits. There's no wonder Online Trust Alliance rated them 'Top Of Class".